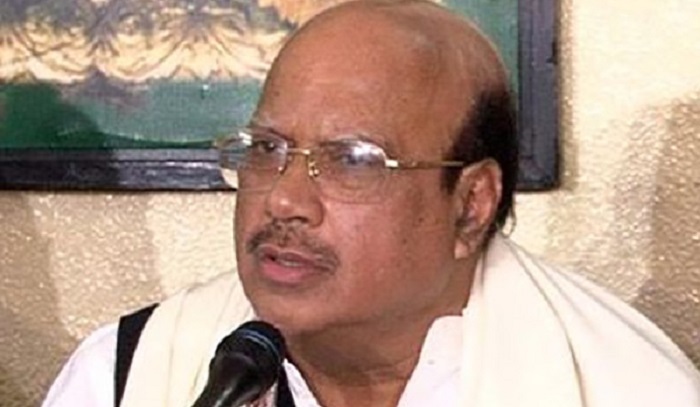 Awami League presidium member and central 14-party spokesperson Mohammed Nasim on Monday urged the Jatiya Oikya Front top leaders not to obstruct their newly elected Members of Parliament (MPs) elect from taking oath. The AL leader made the call in a discussion arranged by Bangabandhu Academy at Institution of Diploma Engineers, Bangladesh in the capital. “People, who were elected in the people’s vote, should join the parliament. It cannot be democratic right to obstruct the MPs-elect from taking oath,” he told. A doa mahfil was also arranged seeking early recovering of critically ailing Road Transport and Bridges Minister and Awami League General Secretary Obaidul Quader who is on the way to Singapore for better treatment. AL advisory council member Mozaffar Hossain Paltu, Dhaka City South AL joint general secretary Abdul Huq Sabuj, AL leader Balaram Podder and Krishak League leader MA Karim addressed the discussion, among others, with host organisation’s secretary general Humayun Kabir Miji in the chair. Calling upon Oikya Front MPs-elect to take oath, Nasim said there is no alternative to parliament to strengthen democracy. “You should join parliament as you are elected by people’s vote. We also want that the parliament becomes vibrant,” the senior parliamentarian said. The 14-party spokesperson urged the Election Commission and the law enforcement agencies to take up all necessary measures to hold a free, fair, neutral and festive upazila parishad election.